During the California Board of Pharmacy, Enforcement Subcommittee meeting on Wednesday the members voted unanimously to recommend to the full board the approval of a regulation that would require the use of the Food and Drug Administration’s (FDA) Standardized Numerical Identifier (SNI) as the unique identifier that is required on all drugs packages as part of their pedigree law. That law currently requires pharmaceutical manufacturers to apply unique identifiers to 50% of all their prescription drug packages by January 1, 2015 and the remainder by January 1, 2016. Pursuant to Business and Professions Code section 4034, the “unique identification number” established and applied to the smallest package or immediate container by the manufacturer or repackager shall conform to the Standardized Numerical Identifier (SNI) set forth in the Guidance for Industry published by the U.S. Food and Drug Administration (FDA) in March 2010, consisting of a serialized National Drug Code (NDC) identifier (or equivalent product identifier for dangerous drugs for which no NDC has been assigned) combined with a unique numeric or alphanumeric serial number that is no more than twenty (20) digits or characters in length. The full Board of Pharmacy will consider the proposed new rule in a future session. In my view this is a logical and unsurprising move because the FDA’s non-binding SNI guidance was produced after the current text of the California law was written and this action will bring it up-to-date with the Federal standard. In my essay earlier this week “What If RxTEC Isn’t Adopted? I pointed out that manufacturers would likely use the FDA’s SNI anyway as the unique identifier that California requires. This move will ensure that that all manufacturers will do that. The move also reinforces my idea (first expressed in my essay earlier this week) that the same thing could happen for the entire pedigree model in the event that no nationwide pedigree legislation is enacted at the Federal level this year. Within the next year or so we should expect the FDA to publish a new, non-binding federal standard for Track & Trace and Authentication for use with drugs in the supply chain, as required by the Food and Drug Administration Amendments Act (FDAAA) of 2007. If it turns out as well-crafted as the FDA’s SNI guidance, why wouldn’t the California Board adopt it as the standard for compliance with their pedigree regulation? Admittedly the Track & Trace and Authentication guidance will be a lot more complicated than the SNI guidance, and the existing California language about the “unique identification number” was pretty ambiguous from the start so it was fairly straightforward to prescribe the use of the SNI. But I also wonder if the FDA isn’t looking closely at the current California language and might try to produce a standard with language that would make it as easy as possible for California to embrace it as well. Isn’t the SNI simply a lighter version of the GS1 s-GTIN? Therefore I would expect (especially with companies trying to meet several country regulations leaning toward GS1) that the s-GTIN would be the general path to use and SNI would be (almost by default) a subset of this numbering scheme. Interested in your thoughts. Am I missing why this is a big deal outside of a potential hedge to a Federal regulation? As always, thanks for your insightful blog on the Serialization topic area. Yes, I think that’s the right way to view it. The reason it’s a “big deal” is that prior to the California Board of Pharmacy (probably) stating that companies can comply with their law if they follow the FDA’s SNI guidance some companies thought that the sNDC was something distinctly different from what California was requesting. 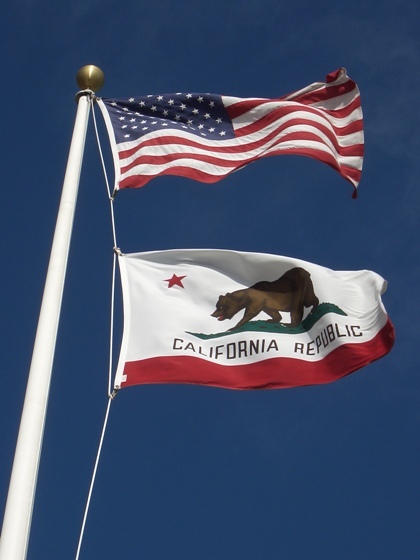 Once the full California Board enacts the statement that the Enforcement subcommittee recommended last week, those companies can rest assured that they can follow Federal guidance and still comply with the California law. The really “big deal” would be if the California Board someday also approves the FDA’s forthcoming Track & Trace and Authentication guidance for compliance with their law. We might not have long to wait to find out.